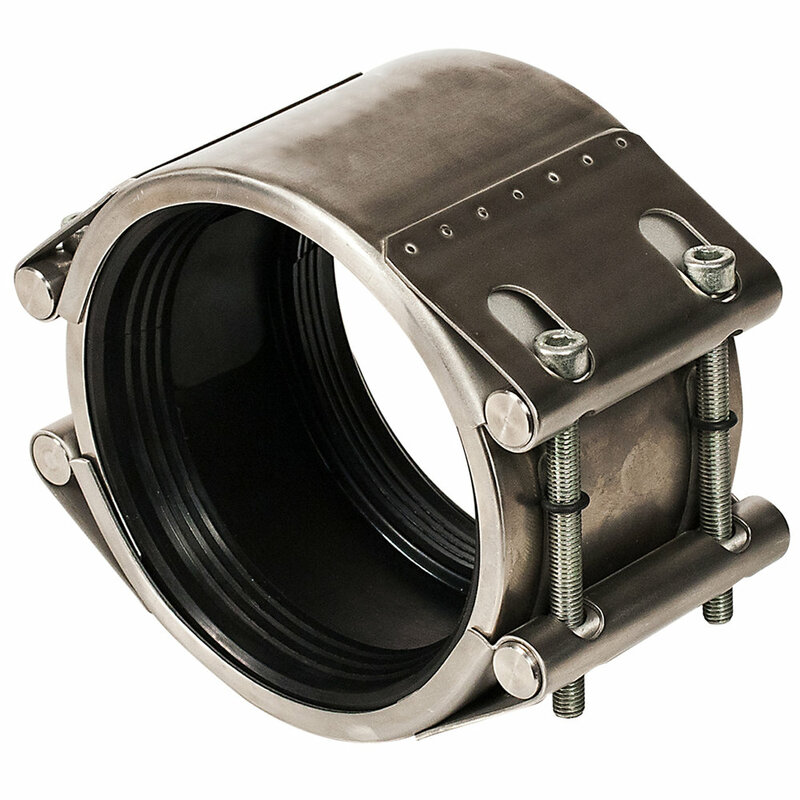 Full circumferential, single-section stainless steel repair clamp (available with tapped outlet). 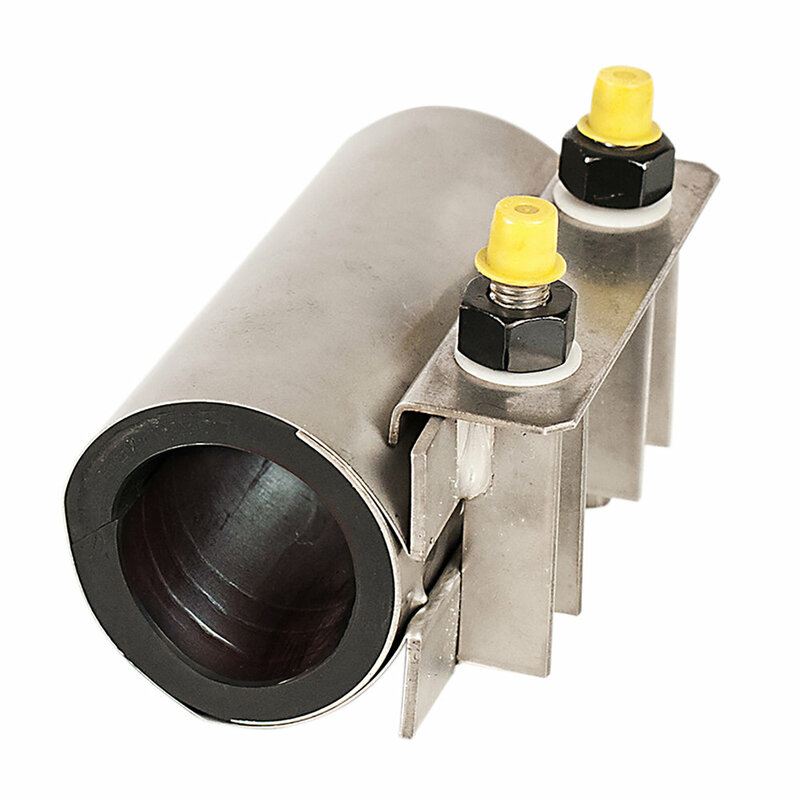 Full circumferential, three-section stainless steel repair clamp (available with tapped outlet). 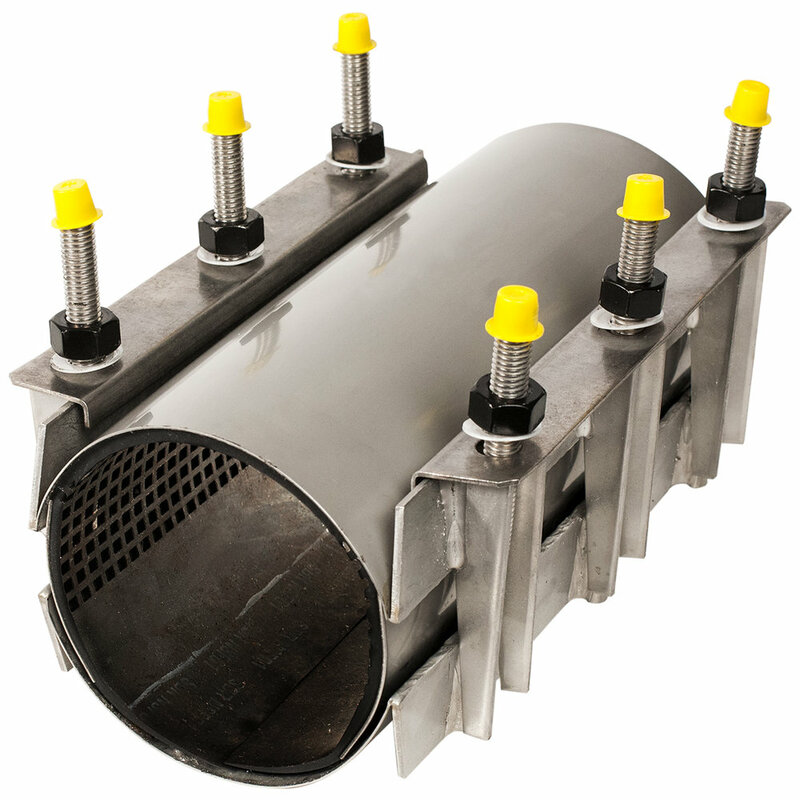 Full circumferential, single-section cast lug repair clamp (available with tapped outlet). 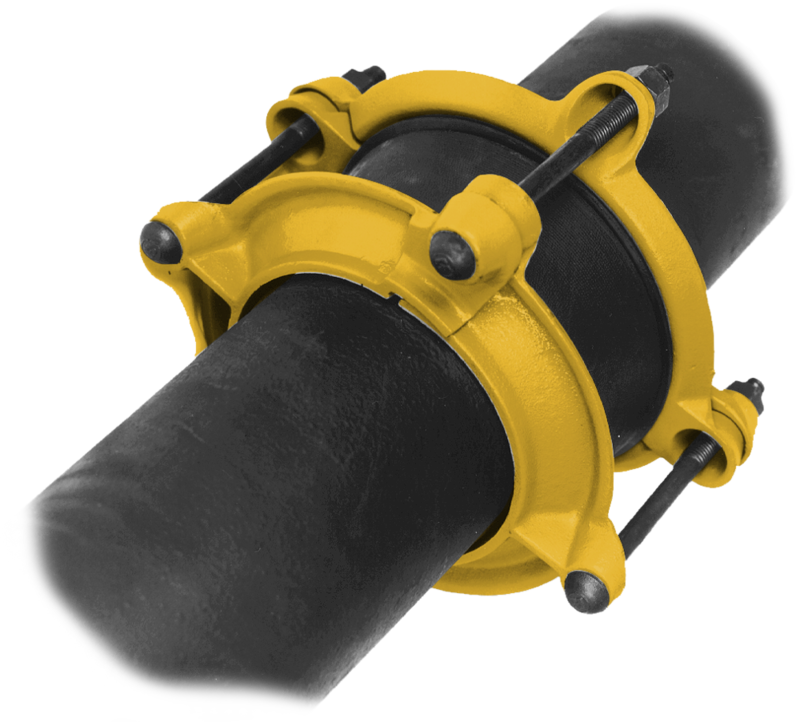 Full circumferential, two-section cast lug repair clamp (available with tapped outlet). 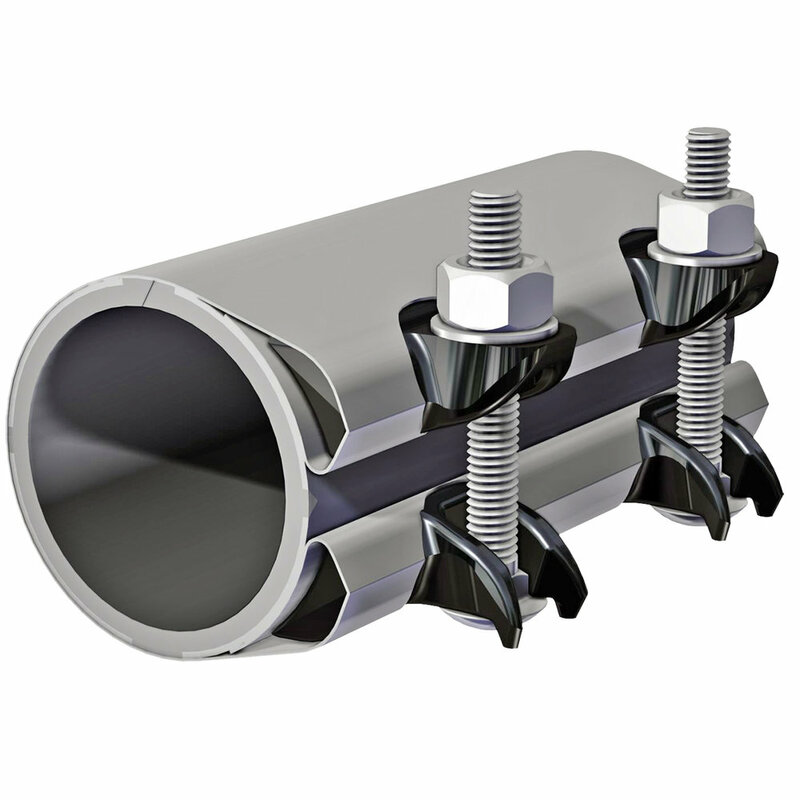 Full circumferential, three-section cast lug repair clamp (available with tapped outlet). Stainless steel repair clamp with cast iron lugs. Repair clamp with stainless steel side bar. 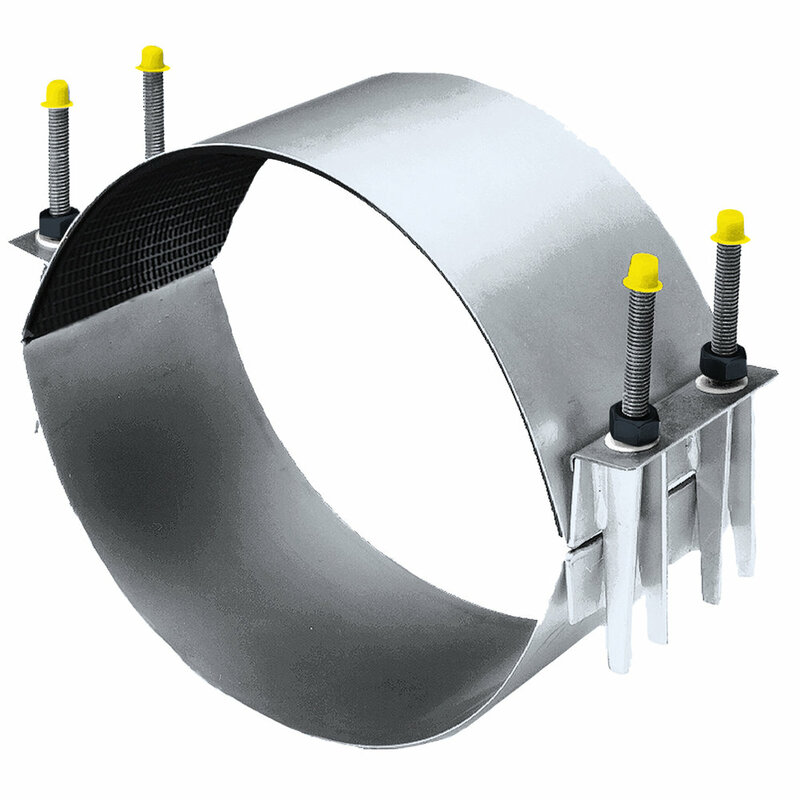 Single-section stainless steel pipe repair clamp. Two-section stainless steel repair clamp with removable bolts. Two-section stainless steel repair clamp. Stainless steel repair clamp with hydrostatic gasket. 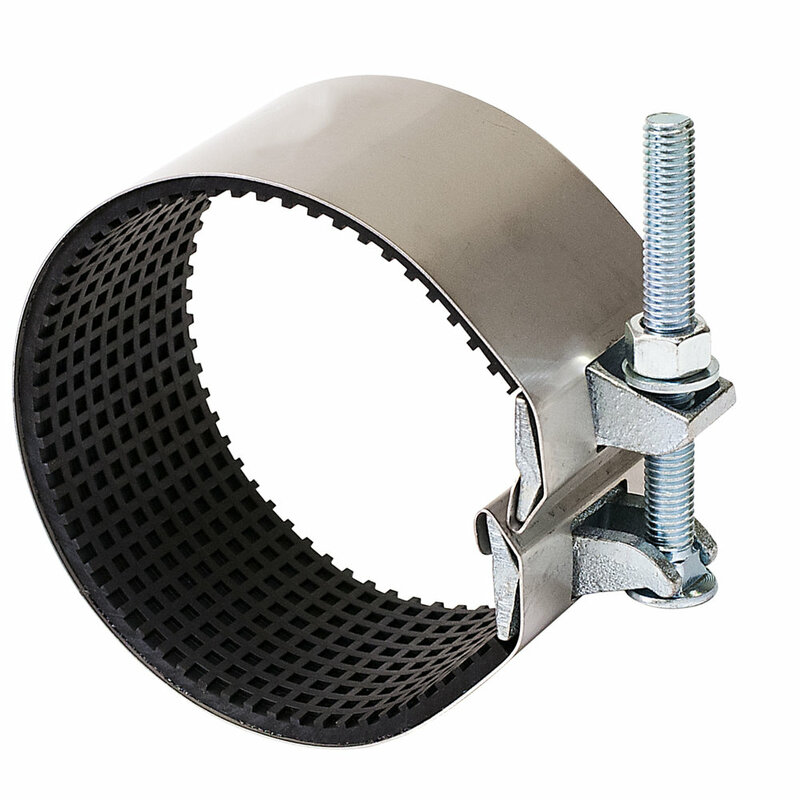 Single-section stainless steel repair clamp with removable bolts. Bell joint leak clamp. 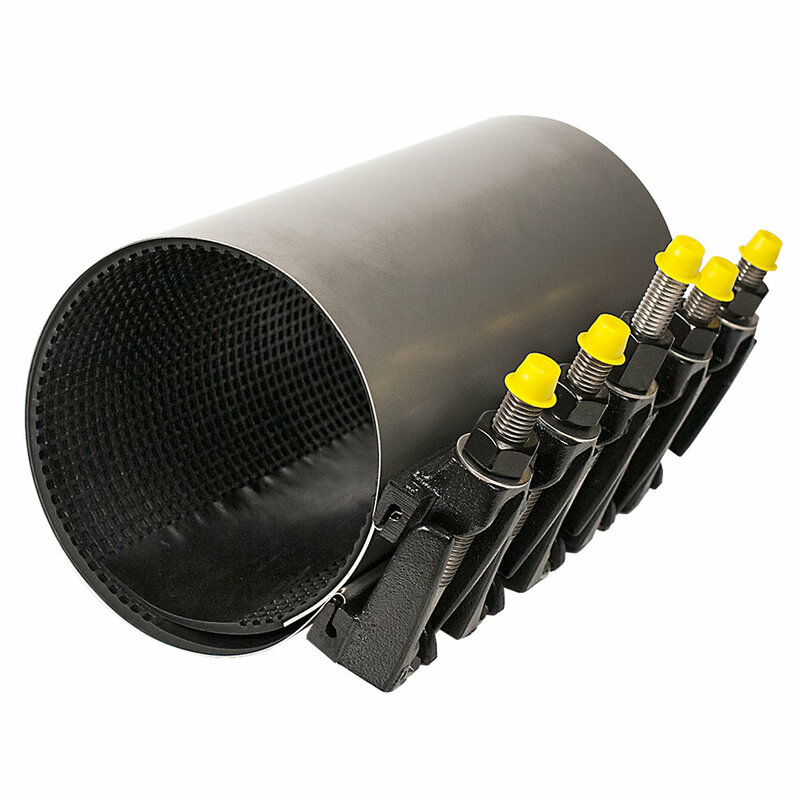 Used for repair or leak prevention in caulked or rubber gasketed joints. Bell joint leak clamp. 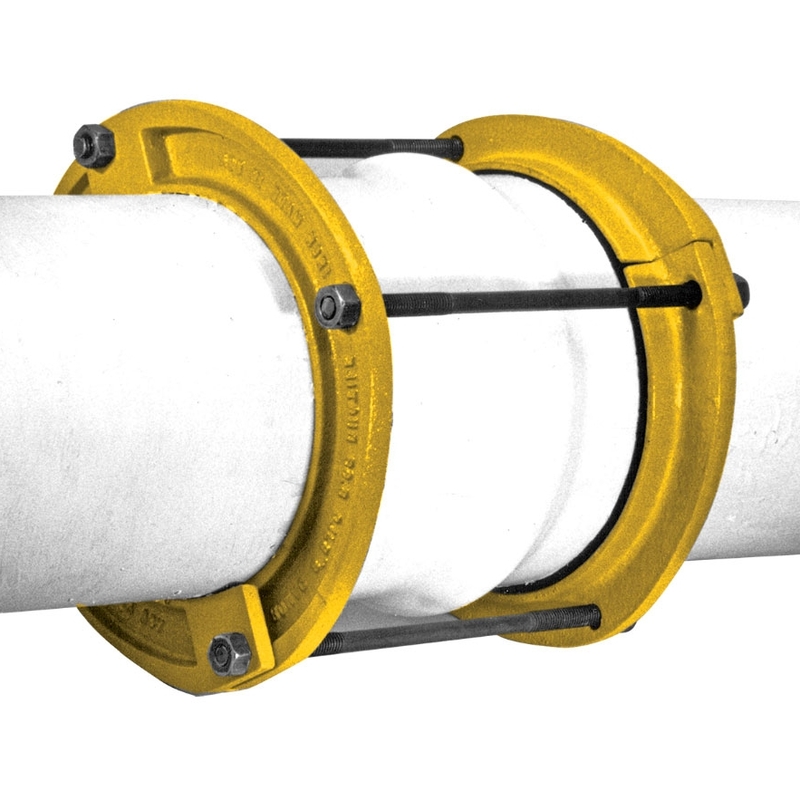 Used for repair or leak prevention in bells, caulked or rubber ring joints. Bell joint leak clamp. Used for repair or leak prevention in bells or rubber ring joints. Rubber repair band. 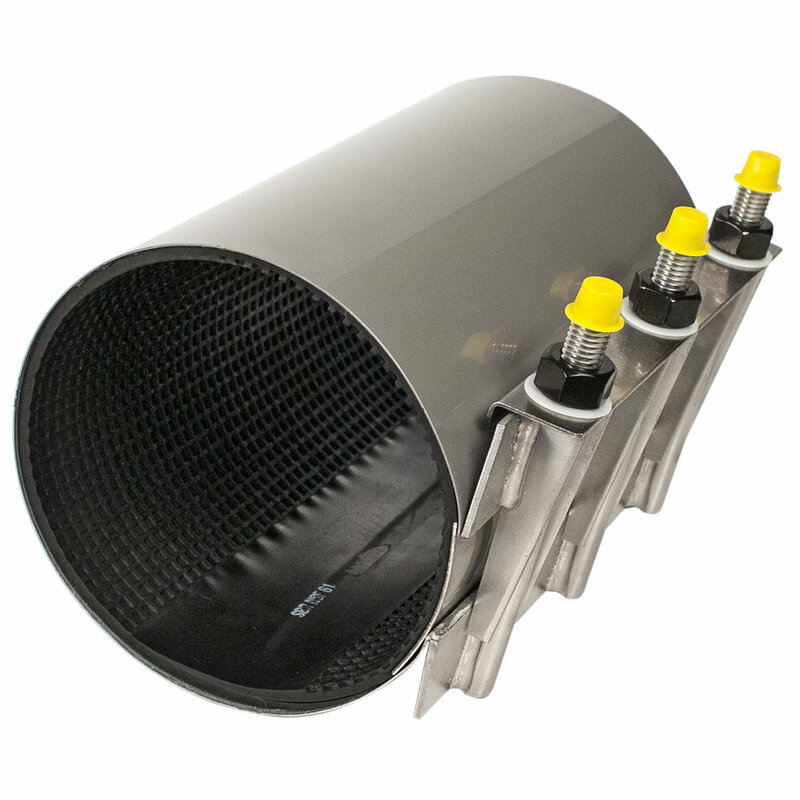 Used with repair clamps to repair broken or leaking A/C pipe. Stainless steel collar leak clamp. Used to repair leaking solvent welds. 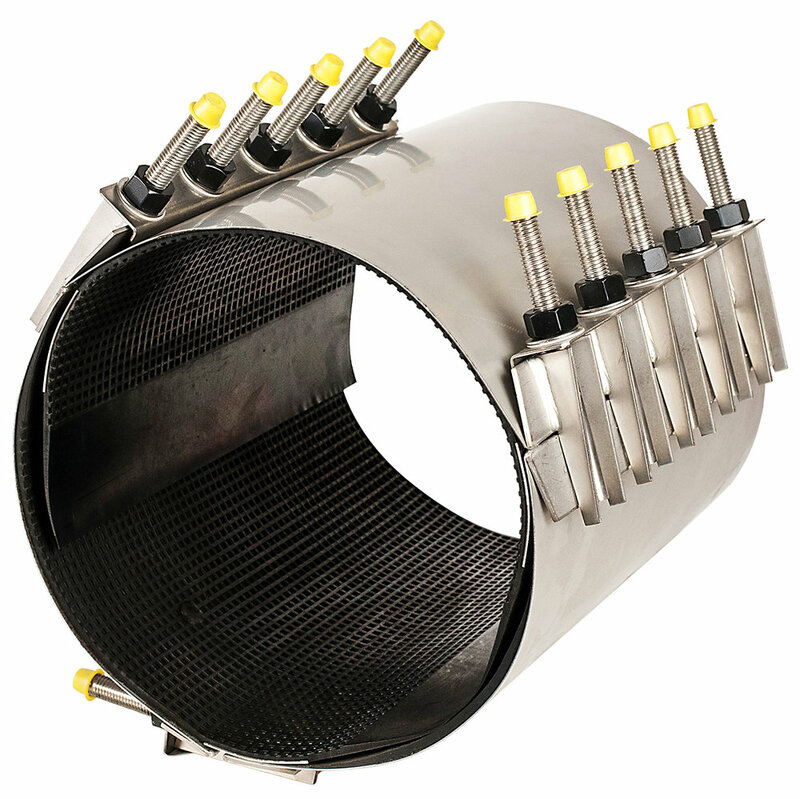 Romac manufactures many products which can be used for pipe repair that don't appear in the Romac catalog.